Rediff.com » Movies » How hot is Kavita Kaushik! There's gorgeousness written all over her! 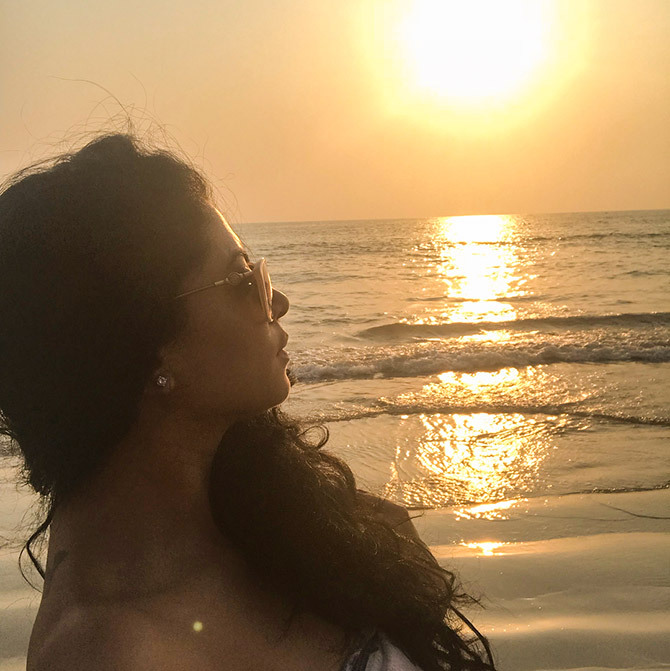 Kavita Kaushik obviously loves beaches. 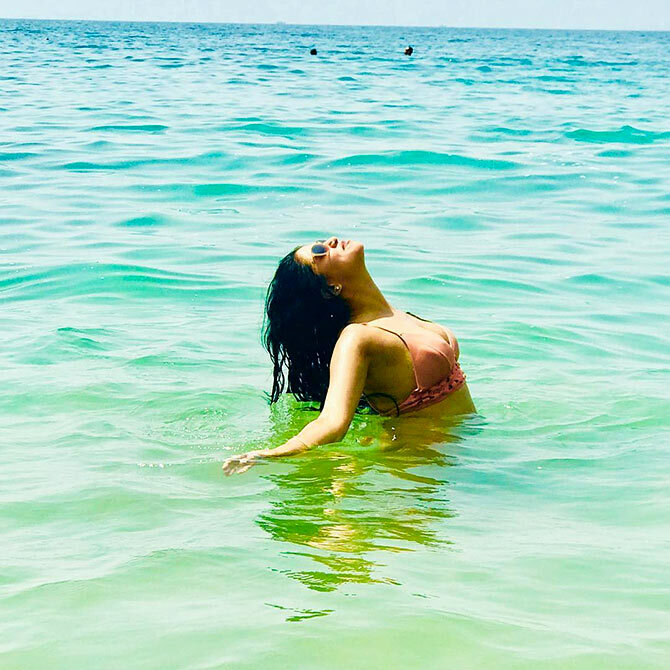 After touring the beaches of Mauritius, the telly actress and her husband Ronnit Biswas decided to vacay in Goa. She's been sharing her beach pictures on Instagram, and aren't they just WOW! 'Tan te tan ! When some scars shine in the sun and tell you how strong you’ve been to wear em proudly on ur forehead,' Kavita captions this picture. 'Here’s to all women wanting to wear pretty bikinis but shy of their bodily flaws, who would know this better than me but you know what I realised we all have them ,we all have some fat , some scars , some cervical spondylitis... oh sorry that’s just me who has it hope none of u do ,some birthmarks that just don’t go no matter what ubtans and creams we apply !! 'Grr .. so what now ? Are we gonna Just waste our lives ogling at perfectly shaped models on the Internet and then criticising them ? 'Or are we gonna hit the gym , eat a healthy diet ,achieve our best fittest body and embrace all other flaws n be our unique beautiful best and jump into the ocean!!? 'I think it’s the latter, my cervical doesn’t stop me from doing the chakrasan (jiski acchi si photo samandar ke paas kheench ke kal dikhaaungi) Nothing should stop you from being the best version of you !! 'The many colours of nature are happy because of you my love, hamesha aisa hi rehna @justronnit,' she writes for her hubby. The setting sun makes an amazing backdrop.